The practice of ferrying Haj pilgrims between Mumbai and Jeddah by waterways existed earlier too, but was stopped from 1995. New Delhi: Saudi Arabia has given its nod to India's plan to revive the option of ferrying Haj pilgrims via sea route to Jeddah, Union Minister Mukhtar Abbas Naqvi said in a statement today. Mr Naqvi made the comment after the signing of annual Haj agreement between India and Saudi Arabia in Mecca. "Saudi Arabia has given its nod to revive the option of sending pilgrims by sea route...Officials from both the countries will discuss all the necessary formalities and technicalities so that Haj pilgrimage through sea route can be started in the coming years," Mr Naqvi said. The union minister also said that sending pilgrims through ships would help cut down travel expenses significantly and added that it would be a "revolutionary, pro-poor, pilgrim-friendly decision". Mukhtar Abbas Naqvi pointed out that for the first time Muslim women from India will go to Haj without "Mehram" (male companion). "Separate accommodation and transport have been arranged for these woman Haj pilgrims in Saudi Arabia and woman Haj assistants will be deployed for their assistance," he added. More than 1,300 women have applied to go for Haj without "Mehram". All these women will be exempted from lottery system and allowed to proceed to Haj, the minister said. 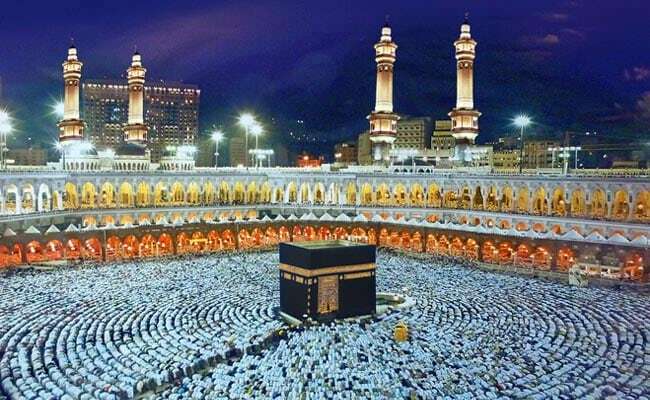 Women above 45 years of age, who wish to go for Haj but don't have a male companion, are allowed to travel for Haj in groups of four or more women according to the new Haj policy of India.